We have one sweet mini black and white tri female. Born on Feb 24, 2018. Tail docked and dewclaws removed. Super lovable and has been handled since birth. 1st shots and wormed. Dad is a blue merle with 2 blue eyes and mom is a black and white tri. Four puppies left in a litter of six. 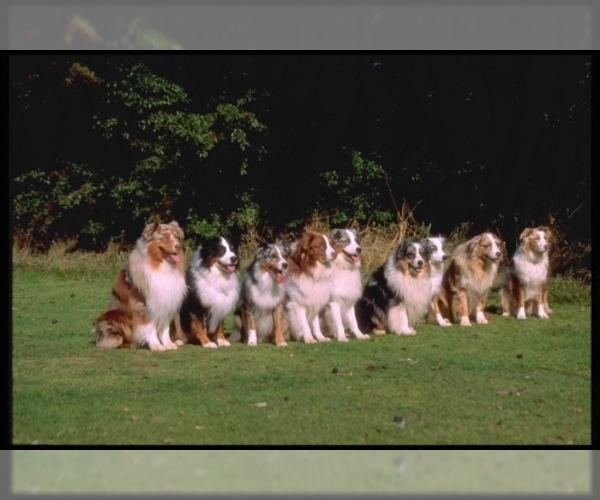 There are 3 blue-eyed blue merles and 1 black tri, 1 blue merle male, the other 3 female.